Have you ever gone to brush your teeth only to notice that your toothbrush is still wet from earlier that day? Ideally, you want to make sure that your toothbrush is in a location that allows ample air to circulate around your toothbrush. 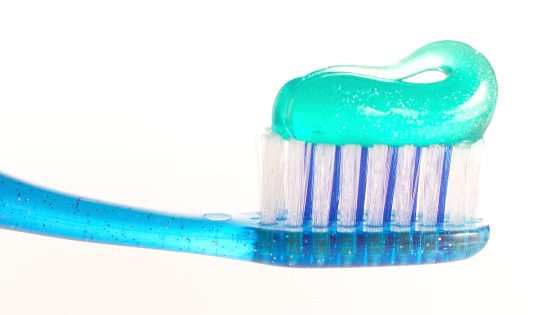 If your toothbrush stays wet for too long, it could become dangerous to put into your mouth. Closing up your toothbrush could end up making you sick, and should be avoided at all costs. When you use your toothbrush, you put it into your mouth, which is full of bacteria. The goal is to remove the bacteria from your teeth so that they cannot damage your teeth. However, that leaves a bunch of bacteria in your toothbrush. While your toothbrush is wet, these bacteria can continue to replicate. If you put that wet toothbrush back into your mouth, you could introduce a new type of bacteria into your mouth, leaving you sick. The other thing that can happen when you use a wet toothbrush is that it can begin to grow mildew on it. This means that when you go to clean your mouth, it accidentally adds mold and mildew into your mouth. This has a very high chance of making you sick, and should never be done. If you notice your toothbrush is wet prior to using it, rinse it off with a little hydrogen peroxide or anti-bacterial mouthwash before using it to be safe. If you normally use a wet toothbrush, you may want to have the overall health of your mouth checked out. You may have bacteria growing in your mouth, or effects of mildew in your mouth, that you are not yet aware of. Ask your dentist where they recommend you store your toothbrush at your next appointment.